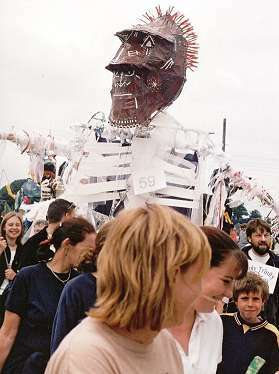 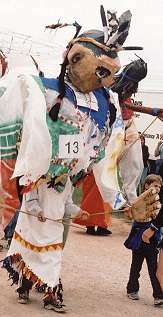 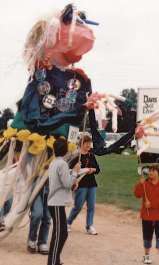 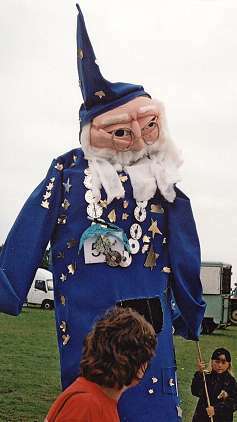 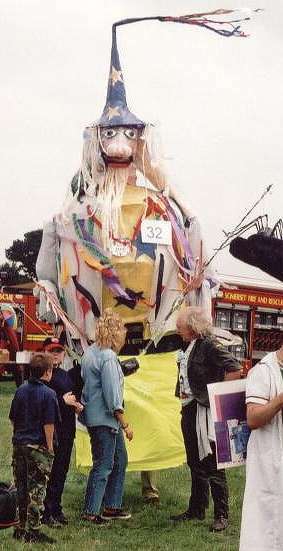 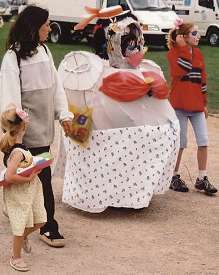 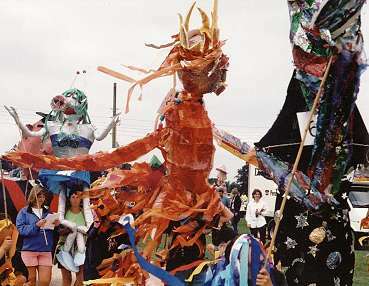 Misleadingly billed as "The First Ever Gathering of Giants" the Yeovil Scrapstore did produce a good turnout of giant puppets on 22nd July 2000. 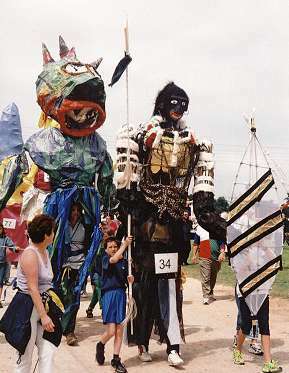 The event took place at Yeovil Showground, an unfortunate choice of venue as it's hilltop position left it exposed to the brisk south-easterly breeze and the uneven grassed slopes hampered the participants. 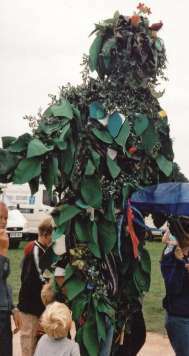 Many of the giants showed promise. 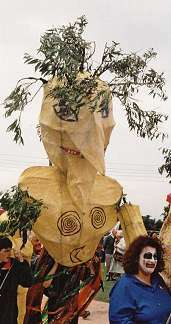 A considerable amount of work had gone into many of them. 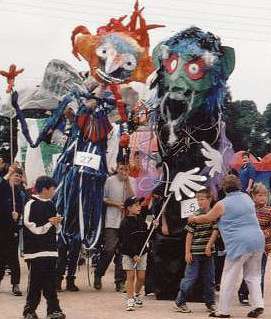 All were backpack style giants mounted on rucksack frames. 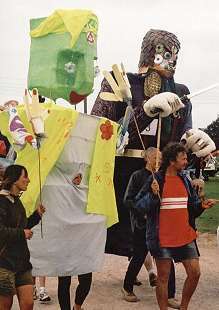 The organisers, Yeovil Community Resource Centre, were given £35000 in National Lottery and Local Authority grants with which they paid "expert" Giant Building Artists to guide community groups through the design process. 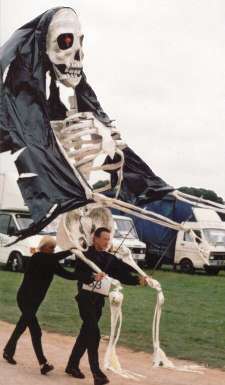 On this page a selection of images give a flavour of the day!